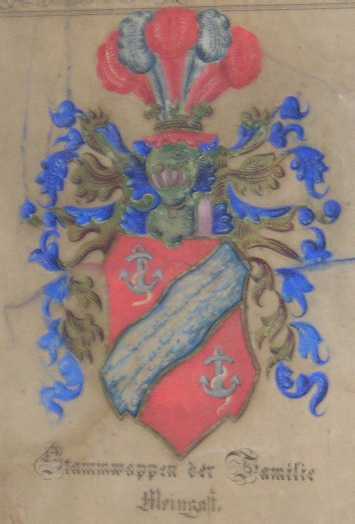 Meingast family coat of arms awarded in 1438 by the "King of the Romans" Albrecht II. Meingasts were originally Franks and in the early 15th century were river traders along the Main River in Germany. The anchors on the coat of arms represent the river trading these early Meingasts did. The name "Meingast" comes from "Main" (Mein) referring to the Main River, and "Gast" which is an old word meaning trader. As time passed, Meingasts moved southeast along the Danube River into present day Austria. 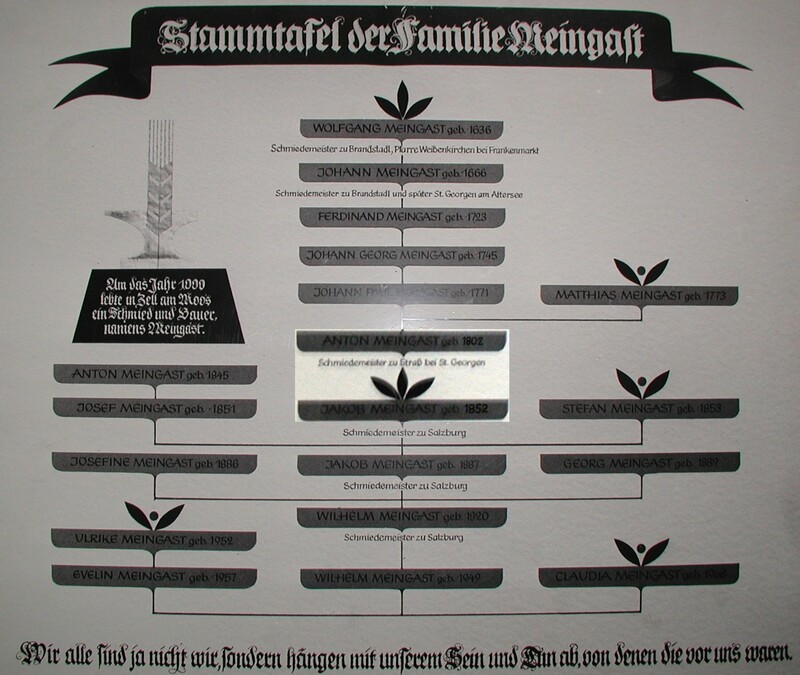 Salzburg Meingasts family tree tracing the Meingast family in Austria back to blacksmith Wolfgang Meingast, born in 1636. 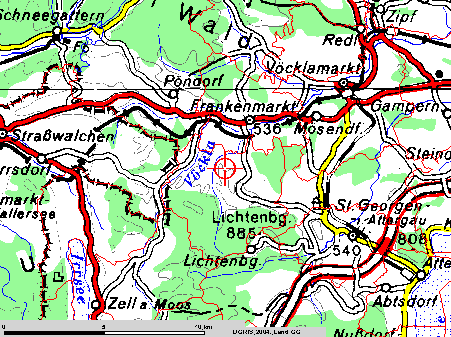 Referring to the map below, the Meingasts settled in the Vocklamarkt and Attersee areas of Upper Austria, not far from both Linz (not on map) and Salzburg. The family dates back to the year 1600 A.D. in this area. They were blacksmiths and farmers. This area is in the Austrian Alps close to the border of Bavaria. There are huge mountains and beautiful lakes throughout this region. Click on the following link to view a close-up map of the area of Upper Austria from where the Meingast family originates. At the top of the map is Frankenmarkt and Vöcklamarkt. A bit below them is St. Georgen near Attersee, and to the lower left is Zell am Moos (beside Irrsee). 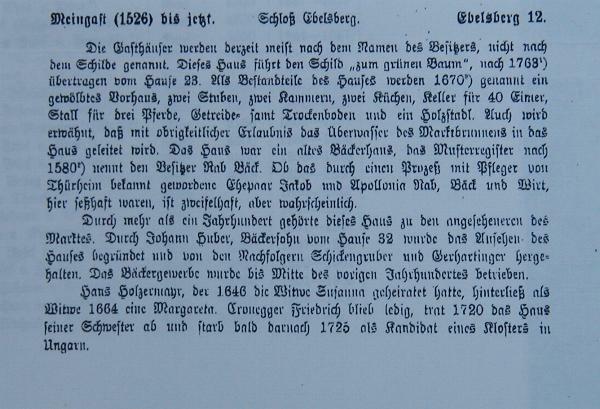 On the Salzburg family tree you can read at the upper left what translated from German says, "In the year 1600, in Zell am Moos, there lived a blacksmith and farmer named Meingast." Also from the family tree, Brandstadl is right near Zell am Moos. Zell am Moos is approximately 15 to 20 km from Salzburg. This whole area is referred to as the Salzkammergut. 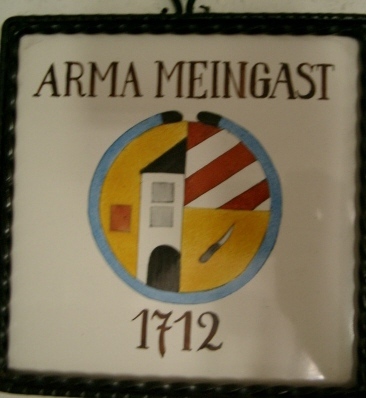 Meingast family crest in Austria dated 1712. M. Meingast "Gasthaus Zum Grünen Baum." Pictured on this postcard are my great-grandparents Michael and Anna Meingast (died in Munich from cancer in 1929). They owned and operated this restaurant located in Ebelsberg, Austria, just outside of Linz. The postcard was made c. 1907. The building itself was built during the Middle Ages c. 1500. You can view a list of previous owners here. 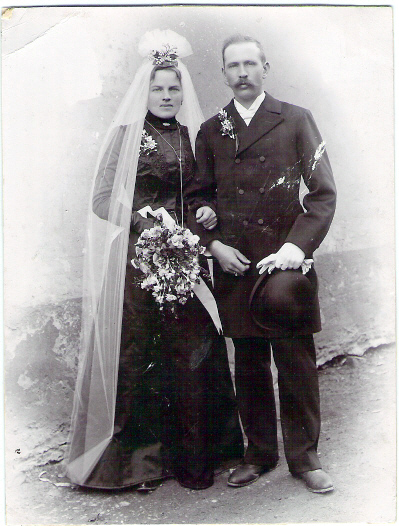 They were married on Tuesday, October 22, 1901, in Vocklamarkt, Upper Austria. I believe Anna's family was originally from Passau, Germany.Anna Rosmus, "Nasty Girl" of Passau and local historian, is familiar with the family. The Erbersdoblers are still in the Passau area and own a factory there to this day. Anna Meingast, mother of Wilhelm Meingast of Salzburg, was secretary to the famous Austrian author Stefan Zweig (1881-1942) between 1919-1938. 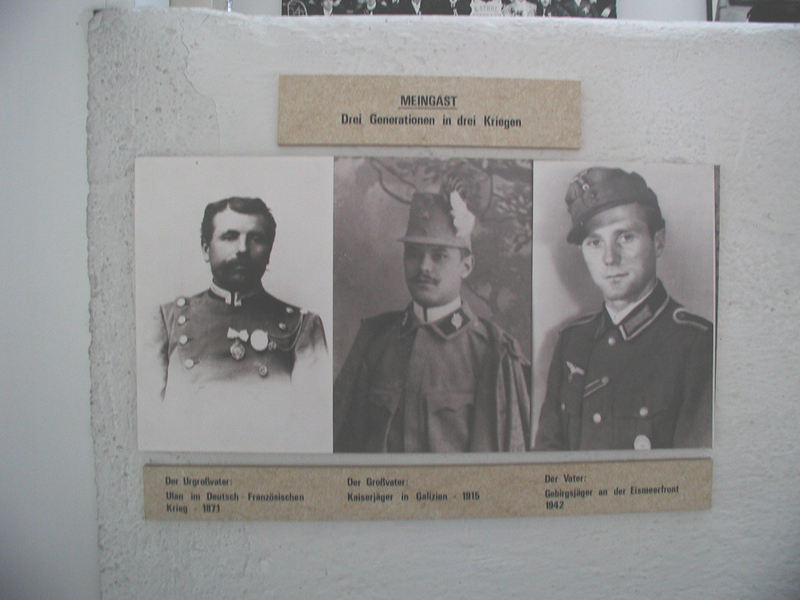 Herr Wilhelm Meingast sent me this picture of three generations of Meingasts from Salzburg who served in the German and Austro-Hungarian armies. Wilhelm is at the far right and served in an alpine mountain division during World War 2. 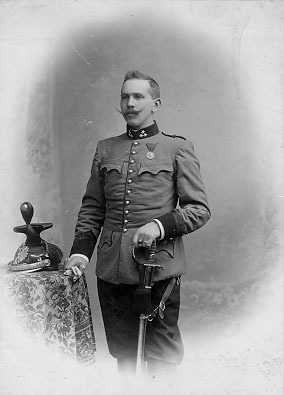 This is my great-grandfather as a young man wearing his Austro-Hungarian Army uniform. He was born in the small village of Gries, near Vocklamarkt in Upper Austria, on March 5, 1870. His parents were Georg and Anna Meingast. He died after a heart attack on December 5, 1946 in Munich, Germany. This photograph was taken around 1900. 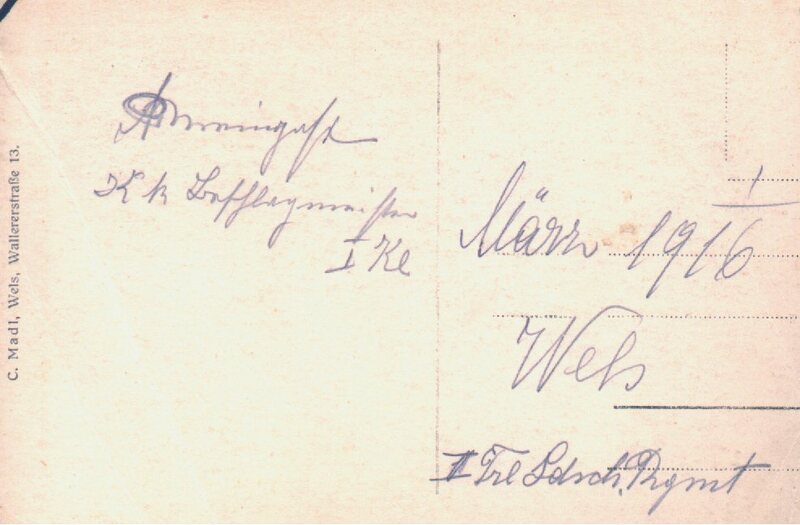 Photocard made in Wels (near Linz), Austria in 1916. 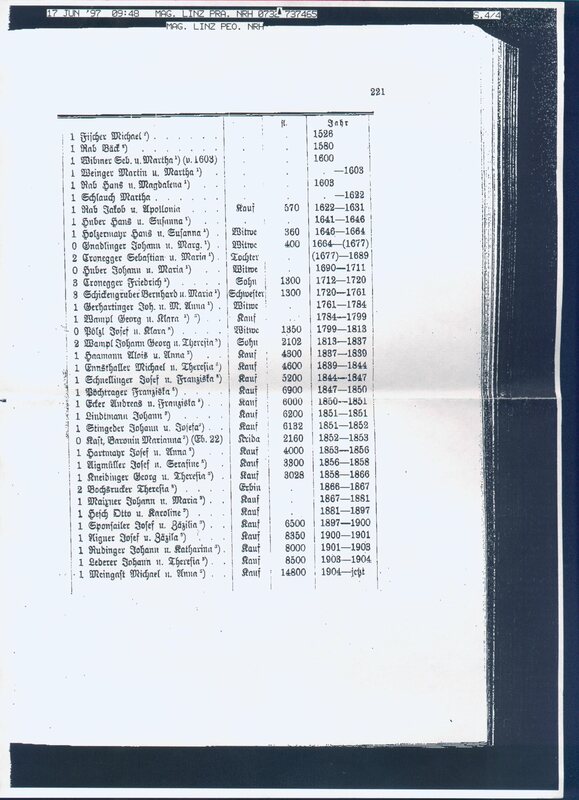 On obverse is name, rank, and unit. This photograph was taken in Linz, Austria, in 1917, during the First World War. 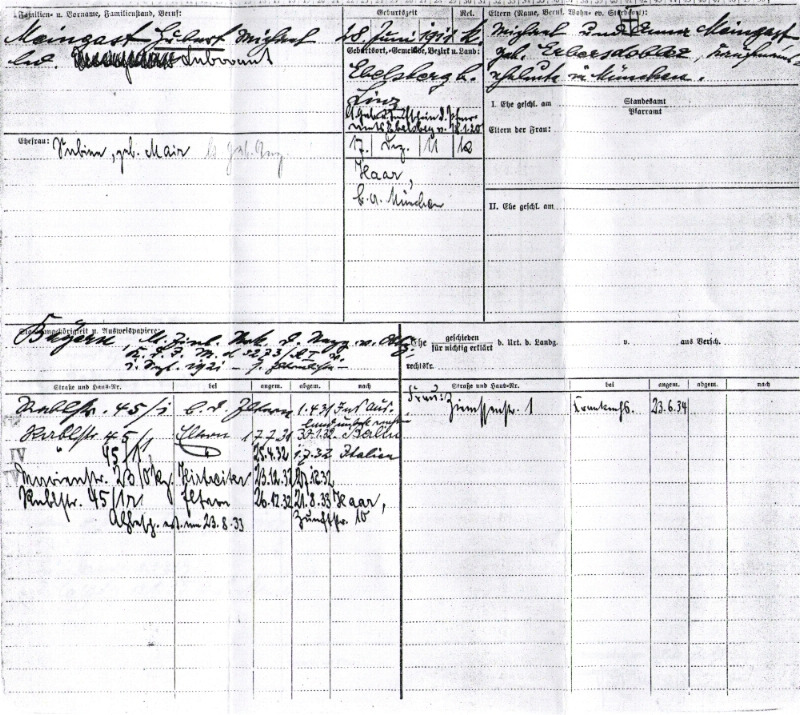 My great-grandfather was a warrant officer in the Training Division (Traindivision) based in Linz (Reservesammelstelle). He was a farrier who looked after the regiment's horses. The medal he is wearing is Die Jubiläums-Medaillen 1898 (The Crown Jubilee Medal of 1898). 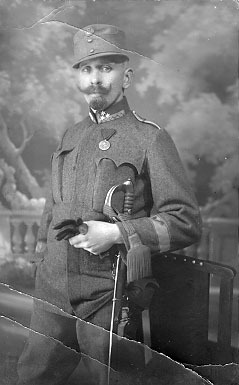 Picture of KuK Uhlans showing the colours of the uniform. Jacket - robin's egg blue and breeches - red. 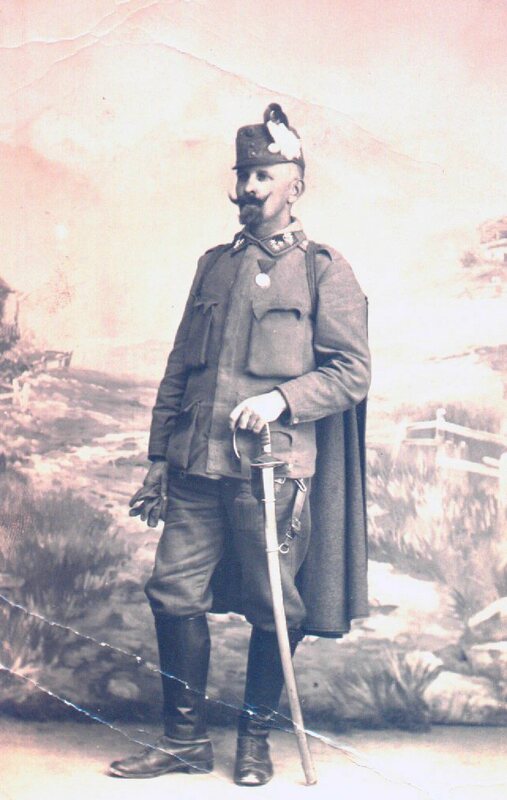 You can see more about the uniforms, etc., at this site: Austro-Hungarian Land Forces 1848-1918. 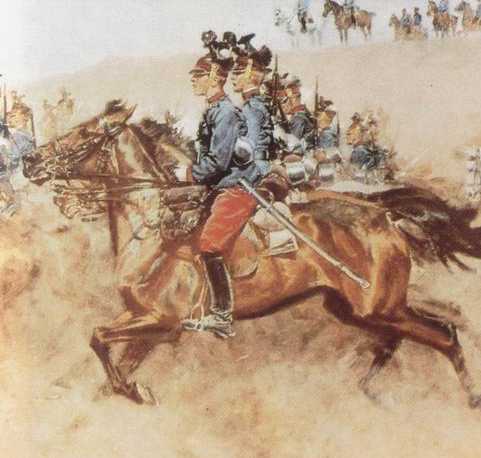 Marshal Radetzky unit in Ebelsberg. 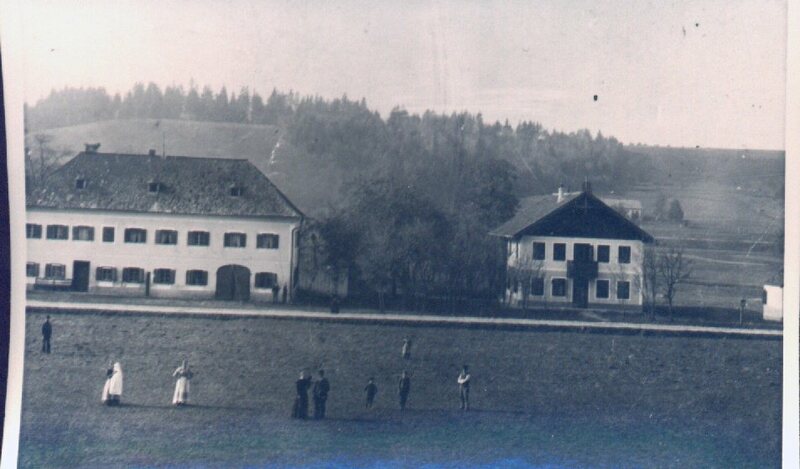 This photograph was taken in Ebelsberg (suburb of Linz), Austria, probably in the 1920s. My great-grandfather is standing at the far left and to the front. 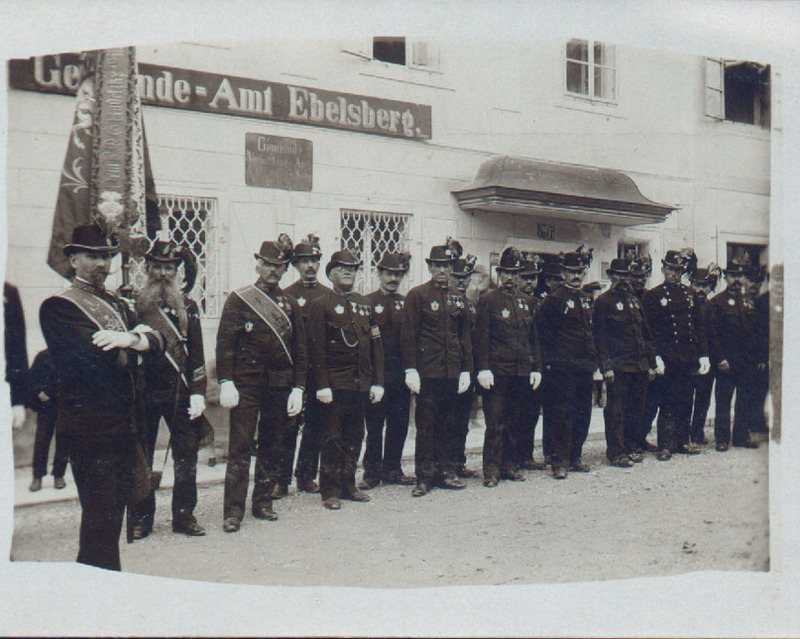 The Ebelsberg veteran's association was founded in 1866 as "Militaer-Veteranen-Verein Ebelsberg". Its activities were forbidden by the Nazis in 1942. 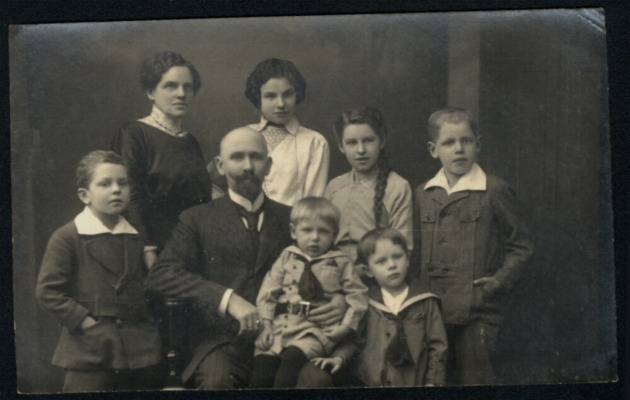 Michael and Anna Meingast with their six children in 1916. This photograph was taken in Munich, Germany, in 1916, and shows (left to right): Max (?-? ), Anna (?-1924? 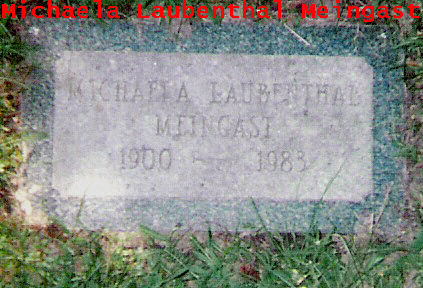 ), Michael (1870-1946), Friederike (Erika) Anna Hedwig Wieman (May 12, 1901- October 7,1972), Rudolf Joseph (Rudi) (October 16, 1913-1990), Michaela Anna Caecilia Laubenthal-Meingast(Sept. 28, 1902- June 1983) [She was married to Heinz Laubenthal who was a German radio journalist who travelled to all fronts of the war during WW 2. His memoir is entitled: "Mit dem Mikrophon am Feind," published in Dresden in 1942. ], Hubert (June 29, 1911-Aug. 29, 1961), and Fritz (Dec. 3, 1905-1990). Meingast homestead in Upper Austria. My great-aunt Michaela Laubenthal sent me this photo with the following letter (page 2, page 3, page 4) not long before she passed away. Aunt Michaela was born in the home pictured to the left in 1902. 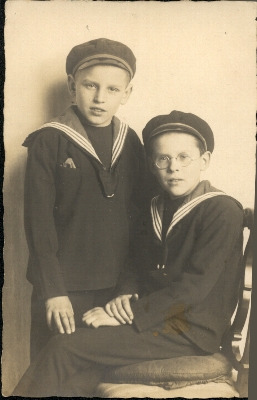 Rudi and Hubert Meingast in Munich in 1925. All Meingasts in Canada are descended from Rudi and Hubert. Rudi later was a crewmember of the Deutsche Afrika-Linien passenger liner SS Windhuk.There is also an excellent site in Portugese about the Windhuk that includes a list of the crew. Rudi is #139 on the list and his age is incorrect. He was 29 at the time, not 39. 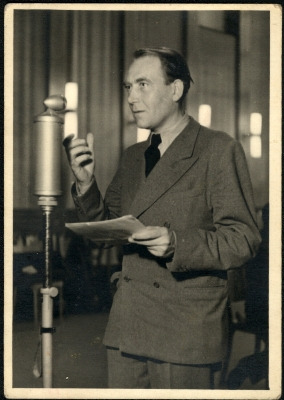 A picture of Mathias Wieman. 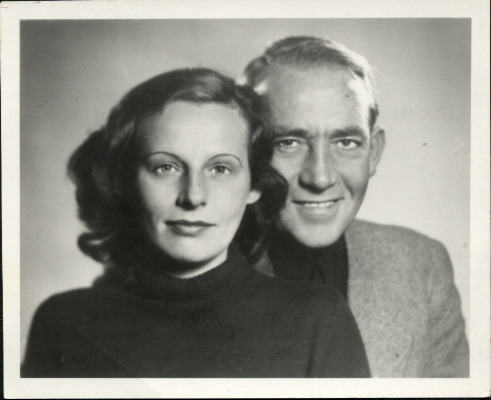 Mathias' wife Erika Meingast was a stage actress and her husband was a movie actor of numerous roles. 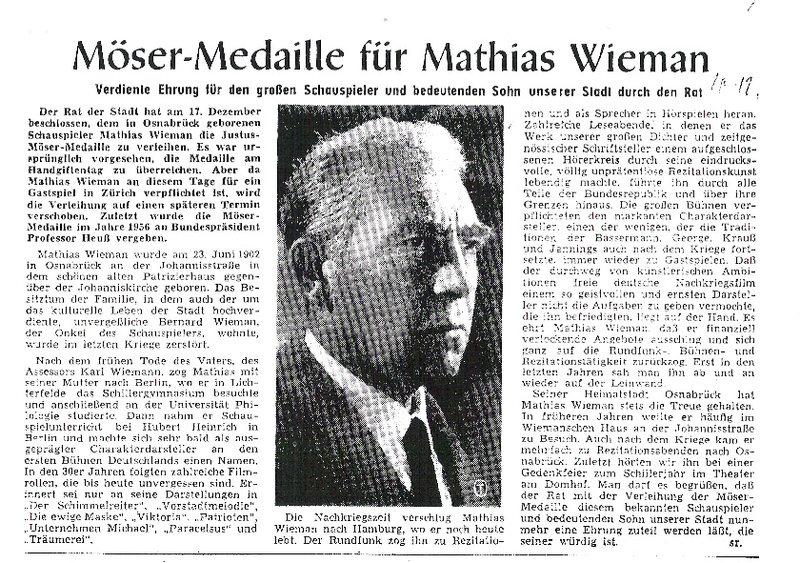 The north German city of Osnabrück has some information, in German, about Mathias here: Mathias Wieman (1902-1969). 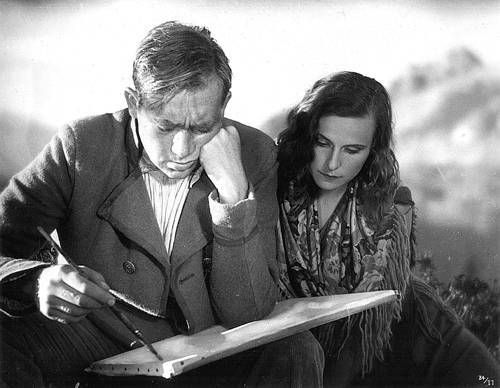 Mathias with his co-star Leni Riefenstahl in the 1932 film "Das Blaue Licht." Frau Riefenstahl's 100th birthday is coming up on August 22, 2002. She remembers well her co-star Mathias. View a recent picture. 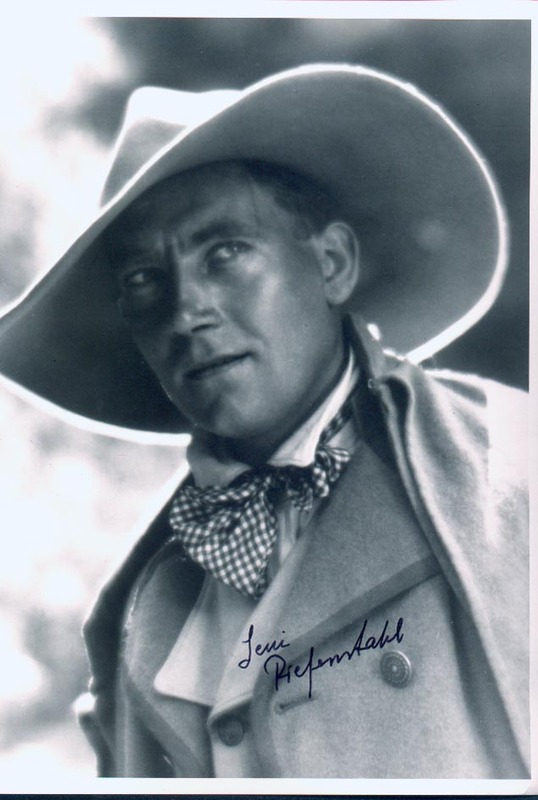 Another photo of Mathias sent to me and signed by Frau Riefenstahl. Mathias with his co-star Ingrid Bergman on the video box cover for the 1954 movie "Fear." The New York Times has a review you can read. Also, another review by Vincent Canby. Erika and Mathias from an old movie magazine. Cartoon by German artist Heinz Tischmeyer showing actors (left to right): Mathias, Renate Müller (1907-1937), and Paul Hartmann (1889-1977). 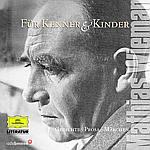 2002 Deutsche Grammophon recording Für Kenner & Kinder featuring Mathias. Go to this YouTube page to watch films and film clips and audio clips featuring Mathias: Meingast's Channel. 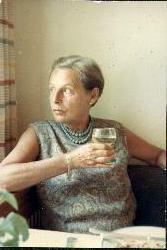 Erika in 1969, before Mathias' death. 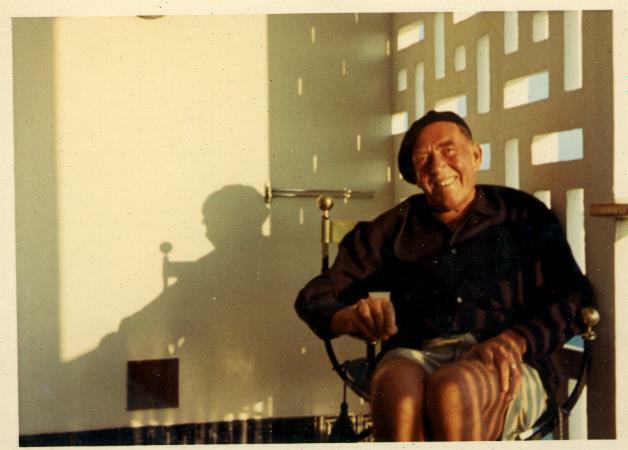 Mathias in 1969, soon before his death from cancer. 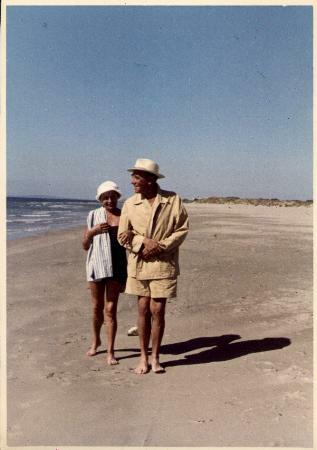 Erika and Mathias walking on a beach in 1969. Telegram from West German President Gustav Heinemann to Erika after Mathias' death in 1969. 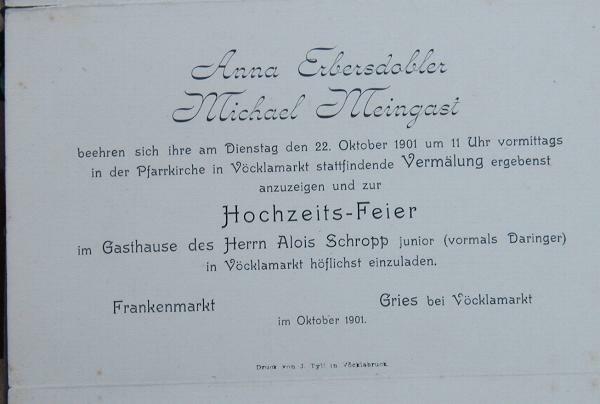 Funeral card for Erika in 1972. 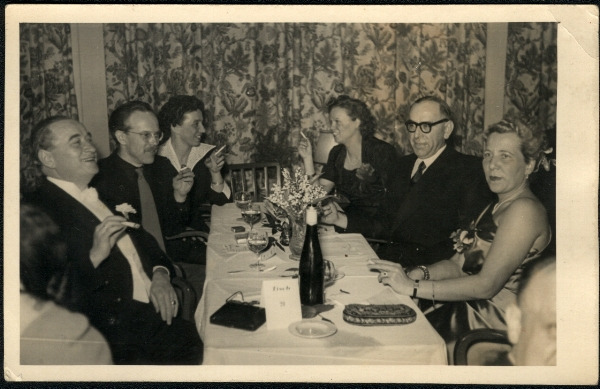 Hubert (1911-1961) (with mustache on left) and Maria Meingast (nee Ott 1912-1985) at a gathering with his employer Dr. Carl F.W. 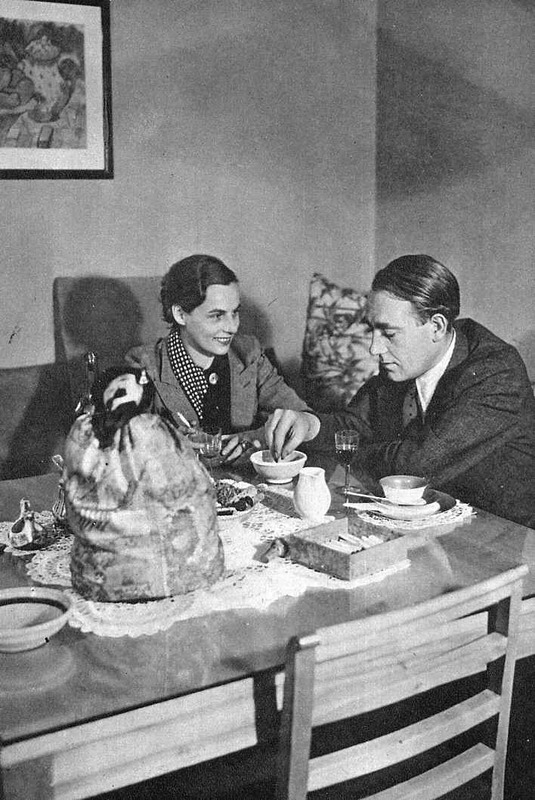 Borgward (seated next to Hubert on left) and his wife Elisabeth (across table from Borgward) sometime around 1950 (Hubert would've been around 39 years young in the picture). I have a copy of a Munich residence card that details Hubert's various trips to places around Germany in the years between 1931-1934, when he lived near Munich (in a town named Haar). 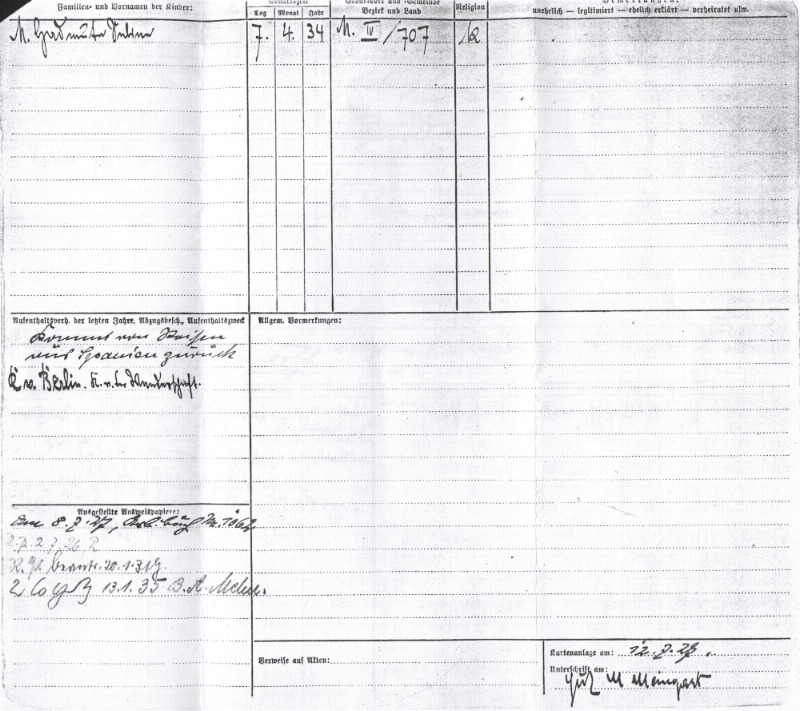 He traveled for extended periods of time to Berlin (July 17, 1931-Jan. 30, 1932), other cities in Germany (difficult to make out his handwriting) and a trip to Italy (April 25, 1932-July 1, 1932) is listed. After 1934 he must have moved away from the Munich area. Willi Meingast Company in Salzburg, Austria. Meingast Bakery in Schleissheim/Wels, Austria. I've been very casual about how I've presented my information by not citing where my data came from exactly. I didn't want this to appear too stale and academic-looking. 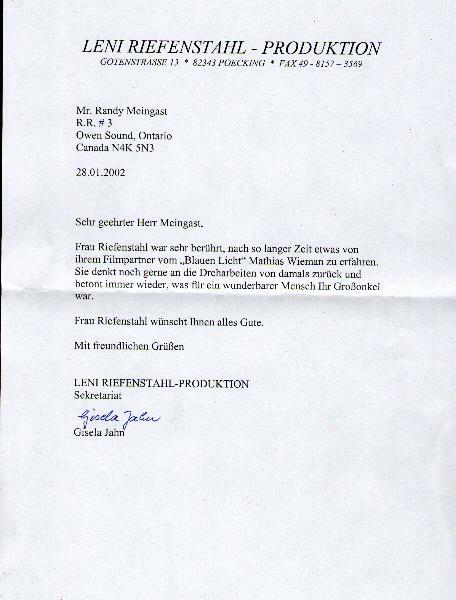 I can state that many of my sources were: Family and friends of my grandfather, personal family documents, photographs, Canadian, German and Austrian government documents, and help from German and Austrian government officials. If my information is not accurate, please feel free to let me know by e-mail (rmeingast@yahoo.com) and I will make corrections. Thanks.